Azar Rajabi is a Canadian fashion designer who trained in Milan with her MA in Fashion Design from Domus Academy. Azar’s collection Seeking Equilibrium was featured in Vogue Italia and chosen as a finalist at Milano Moda Graduate 2016. 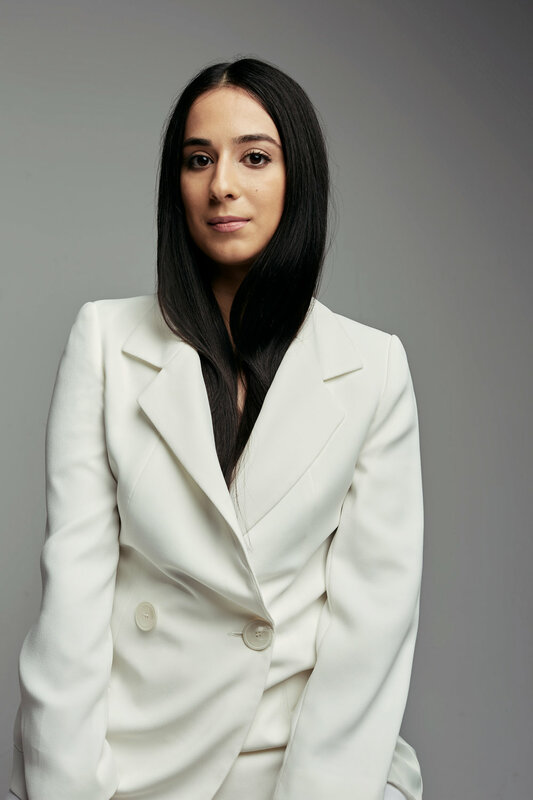 Also featured in Vogue Talents, Azar has interned and assisted in Milan and New York City at luxury houses Damir Doma, Hogan, Casamadre, and Prabal Gurung. In 2017 she was one of 5 young designers to collaborate with Nike and NikeLab for the VaporMax worldwide campaign and was labelled a “Vision-Air” and innovator of tomorrow. Her work for Nike was also an installation in NikeLab’s flagship store in New York City. In 2017, Azar’s work in jewellery for Prabal Gurung and Atelier Tasaki was realized and worn by Deepika Padukone in the Met Gala in 2018. In July 2018, Azar was one of 10 young designers in the running for the Franca Sozzani Emerging Designer of the Year Award; a Semi Finalist for the CNMI Green Carpet Competition selected by Camera Nazionale Della Moda and Eco-Age. Her work highlighted the idea of celebrating Italy and made in Italy, using innovative sustainable materials new and repurposed. Azar’s works have been featured across many fashion channels including Harpers Bazaar, Vogue, WMag WWD, and CNN. She is presently a full-time womenswear designer based in Montreal.